The English Tapware Company Ltd is a boutique company dedicated to providing the world’s best kitchen & bathroom tapware, fireclay sinks, bathroom accessories, towel warmers and bathroomware to architects, interior designers and everyone who loves their home. The English Tapware Company Ltd imports and distributes the luxurious Perrin & Rowe, Acquello, David Moreland Design and Hawthorn Hill brands. The English Tapware Company is also proud to offer our Melbourne and Sydney customers the full range of Victoria + Albert baths. CASF is the national supplier of DuPont Corian®, serving the decorative surface needs of designers and specifiers in the residential and commercial markets. Shire Bathware has been providing high-quality bathroom solutions to Southern Sydney since 1991. Our industry experienced team at Shire Bathware offer outstanding product knowledge and superior design advice, delivered with passion and care that helps our customers achieve their desired bathroom outcome, no matter the size and aspirations. 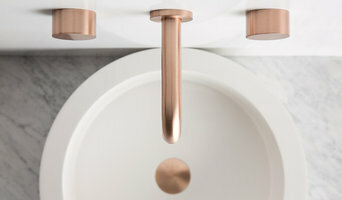 Over the last 2 decades, Shire Bathware has forged a reputation in southern Sydney as the leading specialist in luxury and designer bathroom products, technical advice and genuine customer service. Catering to the differing needs of consumers, architects, designers, builders & plumbers, the industry experienced team at Shire Bathware offer product knowledge and design advice, delivered with passion and care to help you to achieve your desired outcome. Offering quality products and service, with value for money price points, Shire Bathware also caters to our clients ‘after the sale’ by stocking spare parts for the products we promote and sell. CANDANA began in 1981 as a bathroom and kitchen renovating company. Partly due to our location and our client base in Sydney’s Eastern Suburbs, and partly due to the owner’s background in architecture, we quickly became recognized for our designs with all of the glossy magazines of the day featuring CANDANA bathrooms. We have a wonderfully experienced staff here at Candana each with their own strengths and personalities who work well together, complementing each other when the needs arise, whether it be in design or computer skills or logistics. Initially, Was involved in the building industry, a family business, and decided to stay on after my Fathers retirement. Due to the personal service, visiting clients on site and advising the interior designers on technical queries, and guiding our clients through the process. Our extensive range, product knowledge, service and execution. We find it interesting working on all sizes of projects whilst making those special spaces functional and enjoyable for our clients. The fact that everyone and all the sites are different........ making the clients happy is our goal. At Bathroom Tech we have people that are seasoned business people through to professional interior designers all with decades of experience. We give them all our knowledge and experience that we as a team have developed over 100 years worth combined........ to also show the client ways to reduce costs in some instances though finishes and with a quality product. We have experienced sites all over Australia, large, small and awkward sites .......... nothing is too difficult or too small and in fact, we take it on as a challenge to solve potential issues so that the clients are delighted. Since 1941, Caroma have been driving bathroom product design and innovation. Caroma’s history of firsts has always been about seeking fresh ways to enhance bathrooms through the generations. Mother of Pearl is a supplier of boutique hardware. Hardware based on design and style. We enable our clients to create bespoke spaces reflective of their individual personalities and decorative visions. Marblo® is a dedicated solid surface company that specialises in the creation and manufacture of distinctive yet durable materials for residential and commercial projects. Marblo® Bathware basins and bath tubs are the natural choice warm unlike ceramic products. Marblo® wash basins and bath tubs are manufactured using natural polymers which are warm to the touch and softer in appearance Marblo was invented in 1979, Marblo® was originally created to provide new levels of performance in laboratory and kitchen bench top applications. Today our products are used in a myriad of residential, commercial, retail, hospitality environments just to name a few. Marblo® is the largest solid surface material manufacturer in Australia. Geberit’s Swiss ‘know how’ in design and function provide reliable products and viable solutions for its customers, who value the importance of not compromising on quality behind the wall. Innovation, reliability and superior design are the qualities have been at the heart of the Geberit business for almost 150 years – making it a European market leader in sanitary and drainage products. Cass Brothers Bathroom, Kitchen and Plumbing Supplies is Sydney's leading authority in bathroom style. Having been in the bathroom industry since 1972, Cass Brothers can show you how to pull a look together. Cass Brothers are at the forefront of the bathroom industry with their exceptional customer service and technical bathroom product knowledge. Well respected by architects, interior designers, developers, plumbers and builders within the bathroom industry, Cass Brothers offers stylish quality bathroom products which reflect the latest bathroom trends worldwide at competitive prices. Royce Renovation is a DIRECT IMPORTER of A Wide Product Range That Covers Your Bathroom And Hygiene Needs. We provide QUALITY bathroom fixtures and kitchen sinks, taps etc. We devote to offer the best quality products and service with a reasonable price. An independent family-owned manufacturer, Astra Walker offers the ideal design solution in both contemporary and classical bathroom fittings. With a range of finishes available, along with the flexibility to custom develop and produce to meet special requirements, the Astra Walker collection is of obvious value to the specifier striving to maintain synergy throughout a project. Attention to detail, and superior craftsmanship means that all Astra Walker products are manufactured and finished to the highest standard of precision and quality. Renovation Kingdom are the No. 1 supplier of quality, affordable bathroom and kitchen products. Our team are reputable renovation experts who are experienced in the building and renovation industries, they know the ins and outs of all your renovating requirements and needs. If you have a DIY question you can pop into our showroom at 9 Barney St, North Parramatta where you will find every conceivable DIY product and all your DIY answers. 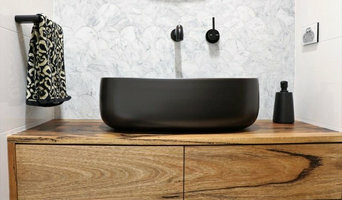 Established in 1994 on Sydney's northern beaches, CIBO Design has built a solid reputation for its collection of high-quality Australian-designed bathroomware. CIBO specialises in producing innovative bathroom storage solutions that combine contemporary design with practicality and quality craftsmanship. Start your kitchen planning with Blum See how much you can achieve in your new kitchen with a better approach to planning. Kitchens have to prove themselves during everyday activities for up to 20 years. A well equipped kitchen can lesson your workload and support you in your daily kitchen tasks. That’s why it pays to carefully consider your personal shopping, cooking and storage requirements and how you will use your kitchen day-to-day. Blum has been researching and observing how kitchens are used all over the world. These insights drive our product development and assist us in designing practical solutions for Australian kitchens. It’s too late to change a kitchen once it has been installed. At Blum, we want to help ensure practicality is addressed during the planning process, not after. Blum turns the opening and closing of furniture, in particular kitchen furniture into a mesmerising experience. To achieve this, Blum works worldwide toward our goal of perfecting motion for Blum furniture fittings. Within this process we always focus on the needs of the kitchen and furniture user. Bei einer Küchenmontage oder einer Badplanung gibt es viele Faktoren, die im Vorfeld der Modernisierung beachtet werden müssen. Da man nicht jeden Tag die Installationen in Küche und Bad erneuert, ist eine ausführliche Beratung bei der Auswahl der Armaturen im Vorfeld empfehlenswert. Groß ist die Auswahl an Materialien: Kupfer, Bronze, Edelstahl, Chrom oder sogar Gold – das verwendete Material prägt den Stil in Küche und Bad. Die Auswahl geeigneter Küchenarmaturen setzt voraus, dass die Sanitärtechnik-Profis in Waterloo, NSW, AU das Format kennen und wissen, wo sich Ihre Anschlüsse befinden und wie die Rohre verlegt wurden. Niemand möchte lange Wartezeiten bei der Installation oder Montage in Kauf nehmen. Neben den Kosten, sollte die zeitliche Planung für den Einbau der Küchen- und Badarmaturen bei der Beratung mit Ihrem Unternehmen in Waterloo, NSW, AU ein Thema sind. Wenn die anfallenden Arbeiten nicht durch hauseigene Handwerker erledigt werden, werden Sie viele Showrooms bei der Suche nach geeigneten Fachkräften unterstützen. Küchen- und Badarmaturen-Hersteller finden auf Houzz: Nutzen Sie die lokale Suche und suchen Sie gezielt nach Armaturen-Herstellern in Waterloo, NSW, AU. Hier finden Sie sämtliche Marken, Anbieter und Unternehmen mit Adressen und Referenzen. Besonders die Kundenbewertungen helfen Ihnen, schnell den richtigen Experten zu finden.